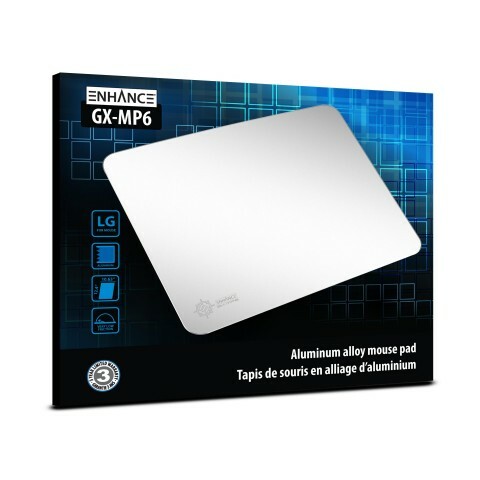 The ENHANCE GX-MP6 is built with 132 square inches of stylish aluminum plating that combines durability and striking aesthetics. 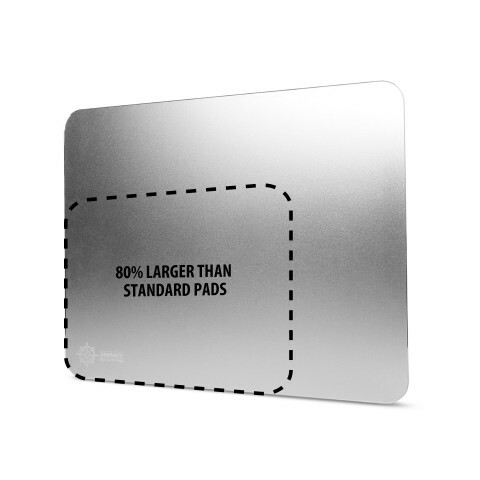 Although it is slim and lightweight, don’t worry about this mouse pad wearing down! 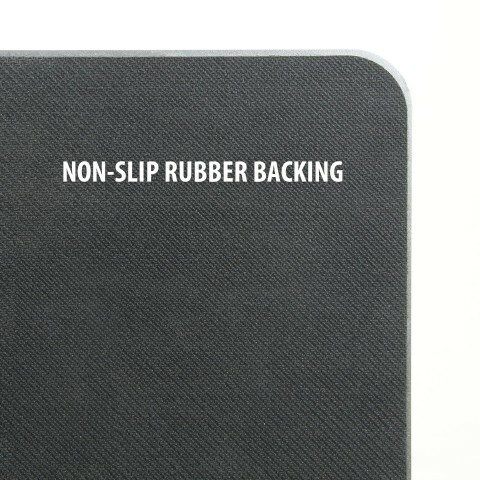 The durable alloy construction helps protect from wear and tear including scratches and liquid spills. 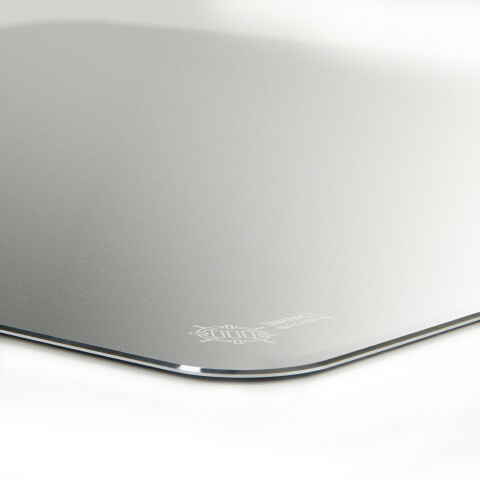 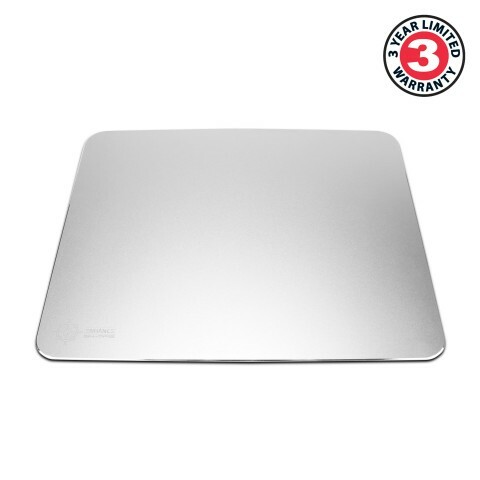 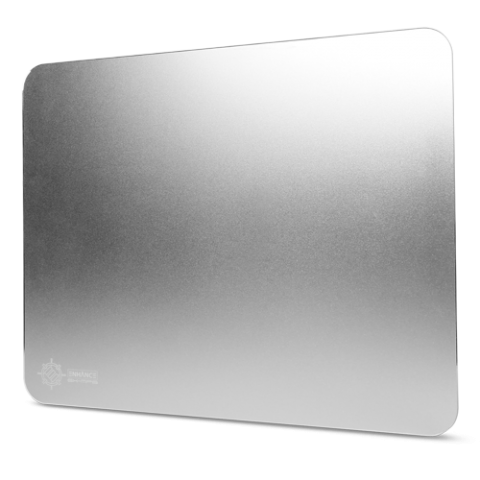 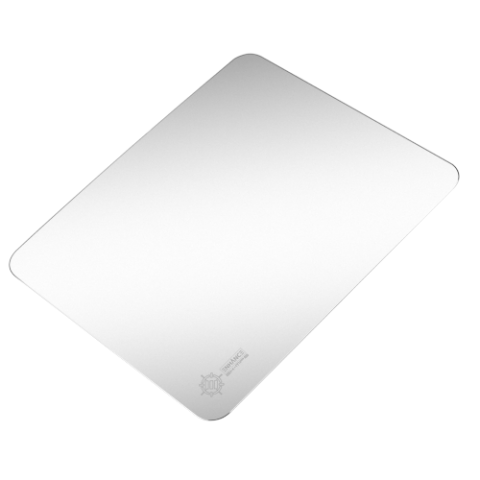 A low profile and sleek aluminum surface give this mouse pad a crisp look that compliments any computer setup. 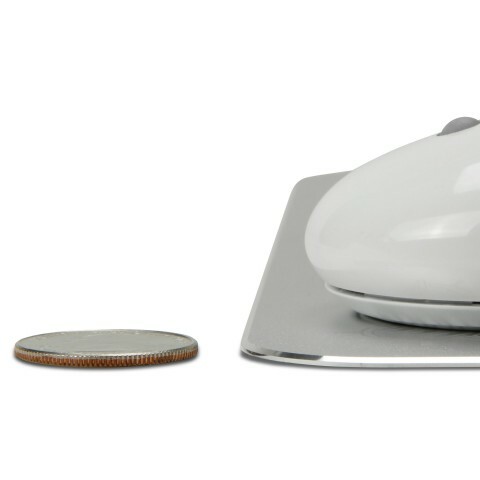 The MP6 will makes the perfect computer peripheral for your iMac or MacBook, adding style to your already sophisticated layout. 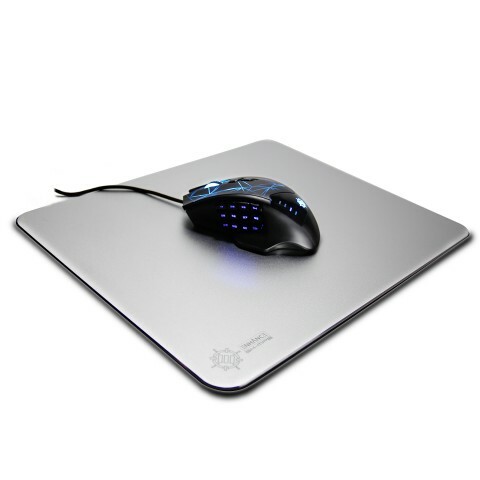 The smooth, low-friction surface enables your mouse to glide back and forth freely. 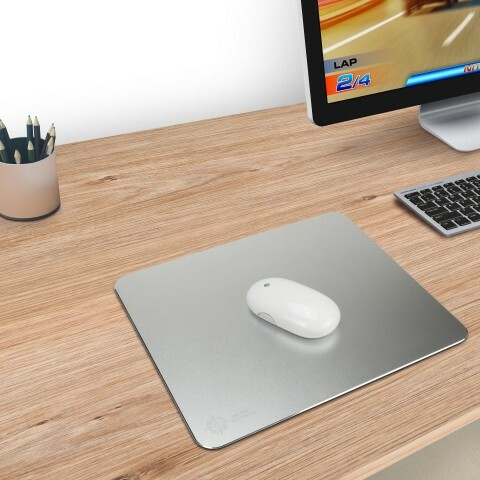 The GX-M6 comes complete non-slip rubber backing which helps absorb vibrations and keeps the mouse pad from sliding on any surface. 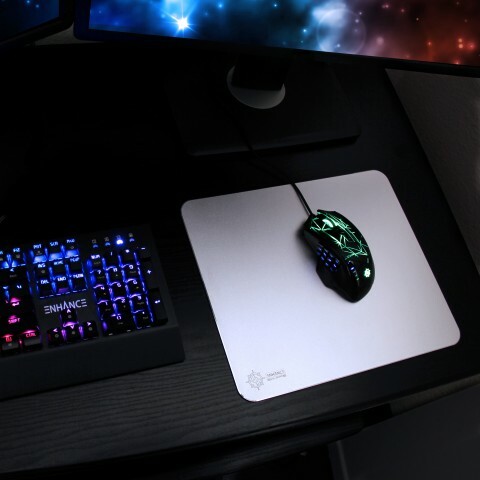 Making it the ultimate mouse pad for extended gaming sessions, surfing the internet or office work.